Floyd "Chip" Ganassi Jr. (born May 24, 1958) is a former American racing driver, current team owner and member of the Motorsports Hall of Fame of America. He has been involved with the North American auto racing scene for over 30 years and is considered one of the most successful as well as innovative owners ever. He is the only team owner in history to have won the Indianapolis 500, the Daytona 500, the Brickyard 400, the Rolex 24 at Daytona, the 12 Hours of Sebring and most recently the 24 Hours of Le Mans - six of the seven biggest races in the world. He is currently the owner and CEO of Chip Ganassi Racing which operates teams in the IndyCar Series, NASCAR Sprint Cup Series, and Tudor United SportsCar Championship, World Endurance Championship and in Global Rally Cross. Overall, he runs 14 cars with 18 drivers across six different touring Series. Ganassi attended the Bob Bondurant Driving School in 1977. He won his first auto race in a Formula Ford at the age of 18. He began his CART (Champ Car) racing career in 1982 upon graduating from Duquesne. Though a broken camshaft kept him from completing his first CART race at Phoenix, Ganassi qualified with the fastest speed, 197 mph, and competed in the Indianapolis 500 five times, with a best finish of 8th in 1983. He was voted the Most Improved Driver in 1983, and took 9th position in the CART standing. During that season, he took Patrick Racing’s Wildcat onto the podium twice, the first at Caesars Palace in Las Vegas, then again at Laguna Seca. The following season, he would go on and finish a career best second in to 1984 Budweiser Grand Prix of Cleveland, however, his career was cut short in his next race, by a big crash that injured him at Michigan. Although he returned to race briefly in CART and IMSA in 1986. It was in the 1986 Kodak Copies 500 at Watkins Glen that Ganassi scored his top sportscar result, taking the Camel Light class victory, with his race partner, Bob Earl (7th overall). He also recorded a seventh-place finish a month early in the Löwenbräu Classic, at Road America, assisted by David Sears. Both times driving for Spice Engineering, in one for their Spice-Pontiac SE86CL. In what was to be his last international race outing, Ganassi was entered into the 1987 24 Hours of Le Mans, as a member of the Kouros Racing. One of his team mates for the event, Johnny Dumfries set the fastest lap of race prior to be handing the car over to Ganassi upon whom the gearbox broke. 1988-89 - Purchased an interest in Patrick Racing in 1988 – a team he had raced with before in 1983 and 1984 – the team saw Emerson Fittipaldi win the 1989 Indianapolis 500 and CART PPG Indy Car World Series. 1990 - Formed his own CART team, Chip Ganassi Racing (CGR) with Target as the primary sponsor and with Eddie Cheever behind the wheel. 1994 – Wins team’s first race with Michael Andretti behind the wheel in Australia. 1997-98 – Zanardi brings home Ganassi’s second and third consecutive championships. 1999 - Juan Pablo Montoya, who won in only his third CART start would add six more victories as he claimed the 1999 CART title, CGR’s fourth consecutive championship. 2000 - Montoya wins the team’s first Indianapolis 500, and Ganassi’s second as team owner. 2001 – Ganassi launched his first NASCAR team with partner Felix Sabates and Sterling Marlin drove his Dodge Intrepid to victory lane at Michigan and Charlotte, then led the championship for most in 2002 before suffering a season-ending injury. 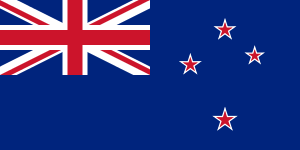 2003 – Wins IndyCar Series with a young Kiwi Scott Dixon, after he scored three wins. 2004 - Ganassi and Sabates entered Rolex Sports Car Series with a Daytona Prototype for Scott Pruett and Max Papis, who stormed to the title. 2006 – Ganassi wins the first of his record six Rolex 24 at Daytonas with drivers Dan Wheldon, Scott Dixon and Casey Mears. Defending IndyCar Series champion, Dan Wheldon joins Dixon on the team. By mid-season, Ganassi pulled another shocker, he announced the return of Montoya, to spearhead the NASCAR program beginning in 2007. 2007 - Montoya joined Pruett and Salvador Durán to retain the Rolex 24 at Daytona crown, and won his first NASCAR event in the XFINITY race in Mexico City. 2009 – Franchitti switched back to the IndyCar Series for ’09, leading the team to a one-two finish in the end of year standings, after he and Dixon took five wins apiece. 2011 - Rolex Sports Car Series team won the fourth 24 Hours at Daytona, making Ganassi the first owner ever to win the Daytona 500, the Indy 500, the Brickyard 400, and the 24 Hours at Daytona inside a 12 months period. 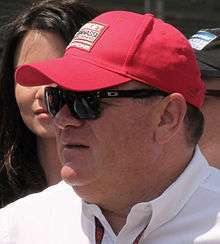 Ganassi becomes the first owner to hold all four titles at one time. By the end of the year, CGR had retained both the IndyCar Series and Grand-Am titles. 2012 - Pruett and Rojas scored their third-straight Grand-Am title (CGR’s sixth overall), while Franchitti added another Indy 500 title. 2012 also saw Chip being named by Complex Magazine as one of the “50 most influential people in the Auto Industry”. 2013 - Would see the team’s fifth Rolex 24 win. Dixon would go on to win his third title. Kyle Larson wins the NASCAR XFINITY Series Rookie of the Year. 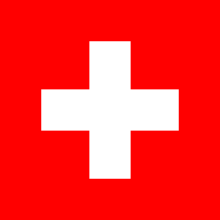 2014 – Promotes Larson to the No. 42 Target Chevrolet. Ganassi also wins the 12 Hours of Sebring in his first attempt. He was awarded the inaugural Cameron R. Argetsinger Award for his contributions to motorsports by the NASCAR, International Speedway Corporation and Watkins Glen International. 2015 – McMurray, Larson, Tony Kanaan and Dixon win the team’s sixth Rolex 24 at Daytona. Dixon wins his fourth IndyCar Series Championship. Ganassi was formerly a vice president of FRG Group, his father's organization involved in commercial real estate, transportation and other areas. In addition to his racing interests, he is also a former minority owner of the Pittsburgh Pirates major league baseball team. Ganassi is a strong supporter of St. Jude’s Children’s Research Hospital, to which his teams have donated over US$500,000. He graduated with a degree in finance from Duquesne University in 1982. He received an Honorary Doctorate from Carnegie Mellon University in 2011. He currently resides in the Pittsburgh suburb of Fox Chapel, Pennsylvania. RC Buick Hawk/Conte John Paul, Jr.
1 2 Vettraino, J.T. (September 17, 2012). "Inside His Mind". Autoweek. 62 (19): 70–75.